Comox is a town on the eastern coast of Vancouver Island and southern coast of the Comox Peninsula. Comox was originally called kw’umuxws (Li’kwala for plentiful) by the Lekwiltok conquerors of the area, and of the K’omox people. It was then changed to Komoux and eventually it was shortened to Comox. Due to our archaeological findings, the evidence suggests an Coast Salish Fishing settlement used to reside in Comox for at least 4,000 years. Comox is now known as a popular retirement destination due to its slower pace of life and the retirement properties it offers. Currently, around 15,000 people reside in Comox today, with the average single-family home is $508,485, as of September 2018.. Residents of Comox love walking in the beautiful trails, the Marina and the beaches, such as GooseSpit and Point Holmes. Locals also love the Comox Recreation center, it offers many active and creative programs for all ages to keep you busy. Downtown Comox you can find numerous great restaurants, that range from casual to fine dining. 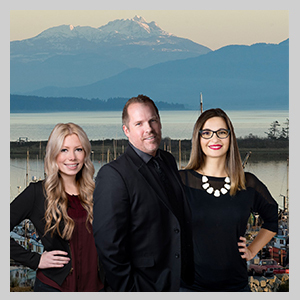 Please contact me if you’re looking to sell your house in Comox and have it listed on MLS with every Real Estate Listing in Comox, BC.